Bored of your plain white walls? 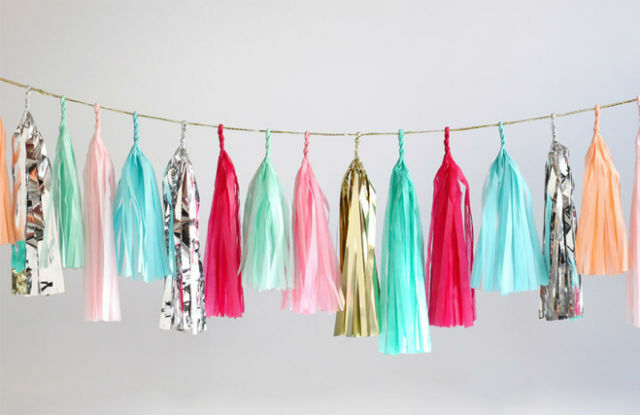 Add some sparkle to your space with this DIY tassel garland. Play around with different colors and patterns to match your room's color scheme—you can even make a shorter strand to hang at school to take your locker to the next level. 1. Fold a sheet of tissue paper lengthwise then widthwise. Then fold again lengthwise. 2. Cut paper into little strips (not on the folded side!). Unfold so it's just folded once. 3. Cut in half and open the paper completely. 4. 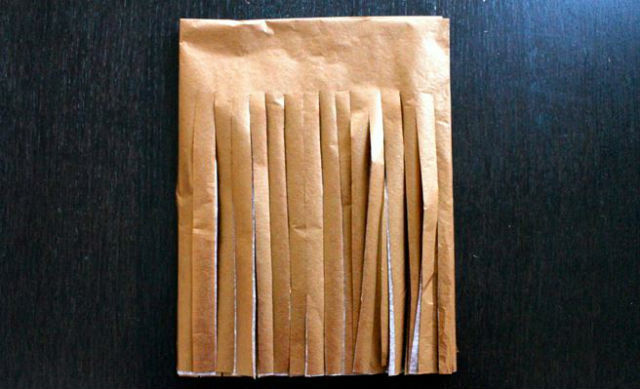 Roll the paper and twist into a loop. Put a dab of hot glue on the loop to secure it in place. 5. Slide the loop onto the cord. Repeat with another sheet of paper until your garland is as long as you'd like. 6. Voila! Hang your new strands where everyone can see (and adore) them. *For photo instructions, check out the Pizzazzerie. Do you like the garland trend? Let us know below!